If you think your lack of a chimney or flue prevents you from enjoying the comfort, savings and warmth of a gas fire in your home, think again. 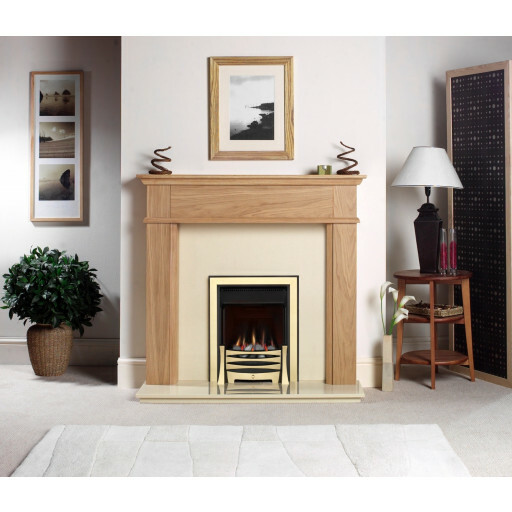 The Burley Perception 4260 inset flueless gas fire is the perfect solution for properties without a chimney or flue. All that's needed is proper room ventilation, an internal or external wall for installation, and a source of natural gas or LPG, the most efficient and economical power source on the planet today. One of the biggest benefits of investing in the Burley Perception 4260 inset flueless gas fire is the fact that it's the perfect combination of heat and energy efficiency, featuring a 100% heat efficiency with no heat loss. It is very easy to operate using either manual or remote control, and can be fuelled using natural mains gas or LPG bottled gas. Customers who have chosen The Burley Perception 4260 inset flueless gas fire for their home are also pleasantly surprised to find out the very low cost of operating this heating source in addition to its very low maintenance when compared with traditional solid fuel burning fire.